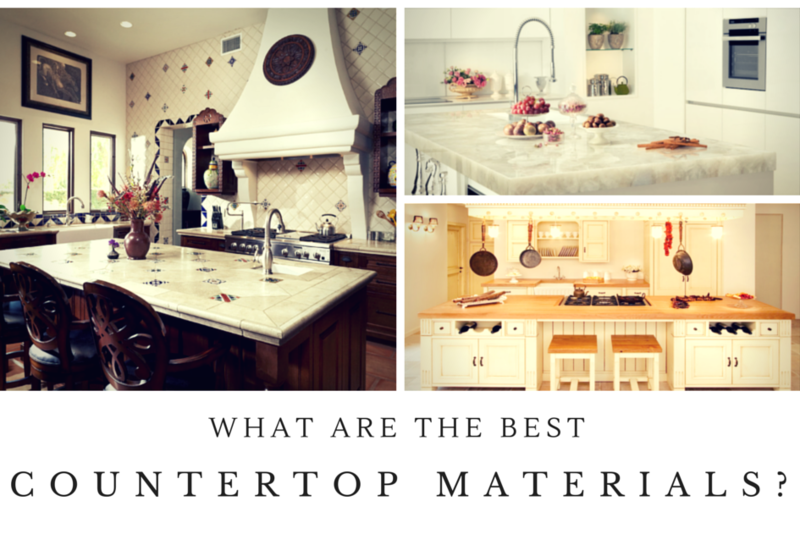 Are you trying to decide on a kitchen countertop? It might seem like there are a million factors to consider, but for most people, it actually boils down to just three: their budget, the appearance of the material, and how durable it is. Some people also look for eco-friendly materials. Consumer Reports has reviewed a bunch of countertop materials. They’ll tell you how much you can expect to spend on each. So I’ll discuss style and durability in this post. Here are 7 great options for your kitchen counter! 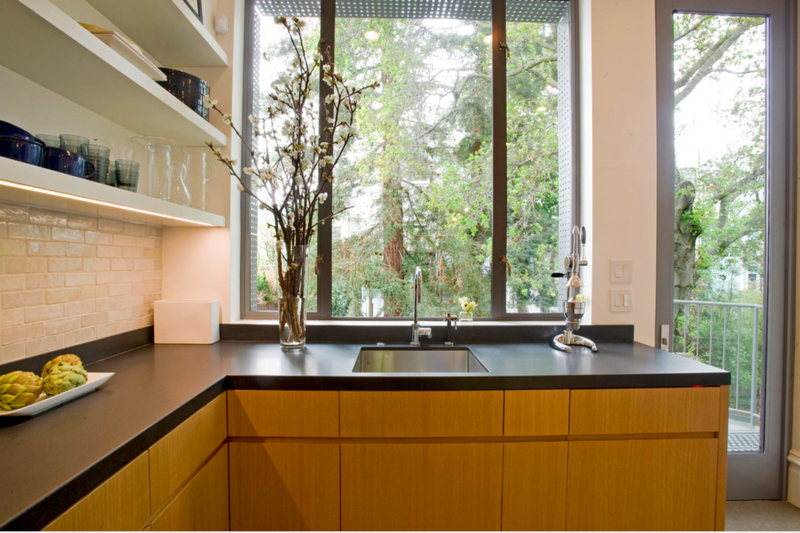 We offer many more — check out all our kitchen countertop materials here. Recycled glass countertops are usually made of small glass shards embedded in another material, like concrete. Consumer Reports hails them as eco-friendly and resistant to damage from heat, stains, and scratches. Recycled glass is ideal if you’re looking for something artsy, low-maintenance, and great for the environment. It looks perfect in transitional style kitchens, which strike a balance between traditional and contemporary styles. 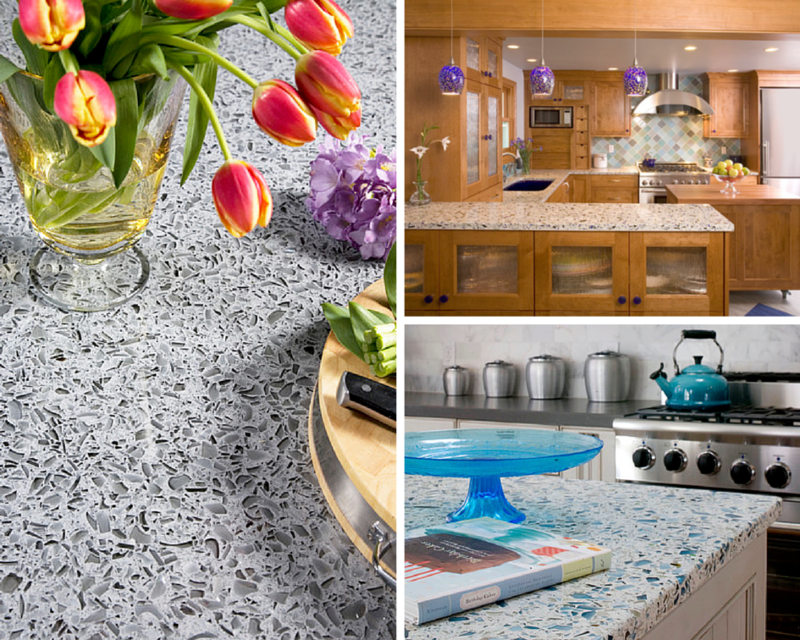 If you want to go green but glass countertops aren’t your thing, choose from countless other recycled and eco-friendly materials, like recycled aluminum or sustainable wood. Quartz counters look like stone, but they’re usually a synthetic mix of pure quartz and other materials. 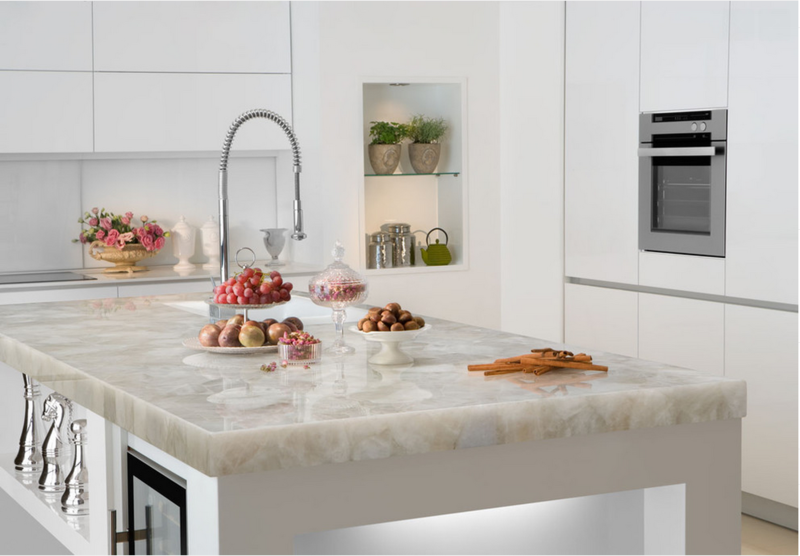 Quartz might not be able to match pure stone as far as luxury, but it’s low maintenance and durable. Plus you can get quartz counters in almost any color. This cream-colored quartz brings a little classic elegance to the otherwise contemporary kitchen. 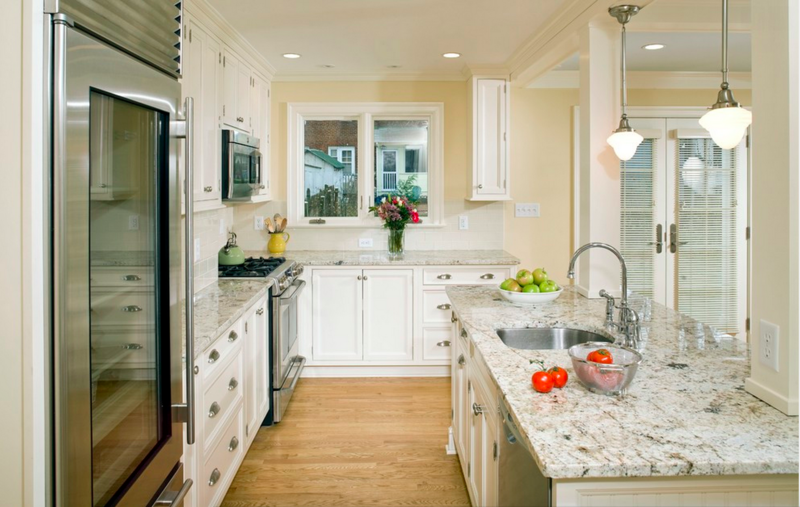 Unlike their quartz counterparts, granite counters are 100% natural stone. In other words, they’re not human-made. The beautiful colors and patterns in the material are imperfect and unique. Granite is truly versatile. I think it adds a touch of splendor to simple, timeless kitchens, like this one. You’ll need to get granite counters professionally sealed once a year to avoid stains. Find out more about maintenance here. Like granite, marble is a natural stone, lifted directly from the Earth in whole slabs. And it’s number one when it comes to elegance. There’s nothing like the smooth, cool touch of marble. Not sure if the material fits your style? 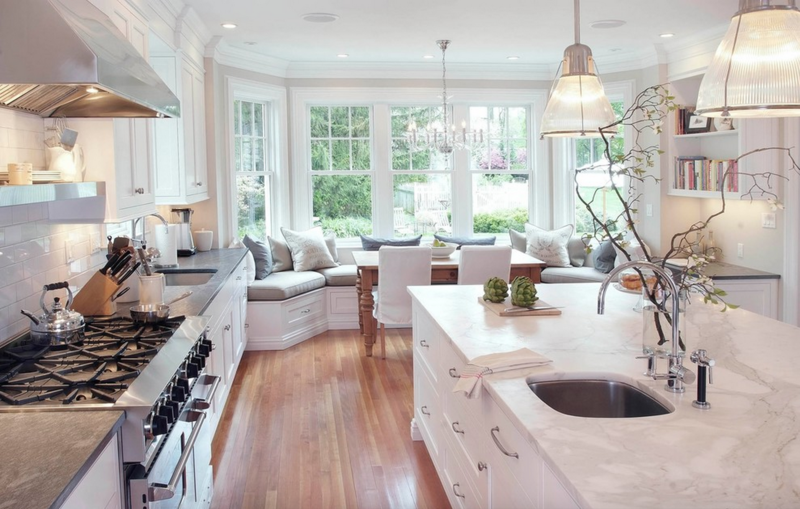 Marble countertops can look good almost anywhere, but they’re especially exquisite in traditional kitchens. Sadly, even marble isn’t perfect. It stains more easily than most materials and occasionally picks up burn marks from hot pans, so be sure to stock up on trivets and consider limiting marble to one area, like an island. If you do get heat damage, don’t panic. A professional will probably be able to fix it, or you can try this handy method yourself. Sturdy, hardwood countertops never seem to go out of style. They come in several varieties, including walnut, oak, cherry, and maple. They bring a warm no-nonsense feel to the room, and wood is biodegradable, so they’re gentle on the environment. One great thing about butcher block: Most scratches and surface stains can be easily sanded out. Get your counters sealed to protect them, though. Wood stains easily. Laminate counters are usually made of a paper or fabric sheeting glued to either plywood or particle board. Many people worry that laminate countertops will look cheap. It’s true they’re less expensive than most finer materials, but today’s options look a lot better than those from 20 years ago. They can mimic stone and even butcher block. Laminate is low maintenance and easy to clean, but if it does get damaged, repairs can be difficult. Bottom line? If it’s luxury you want, give laminate a pass, but if you’re looking for a solid, inexpensive option that still looks great, laminate might be your best bet. Ceramic and porcelain tiles work with almost any kitchen style, because they come in all shapes and colors. Tiles are durable, but if they do get damaged, it’s easy to replace just one without tearing up the whole counter. 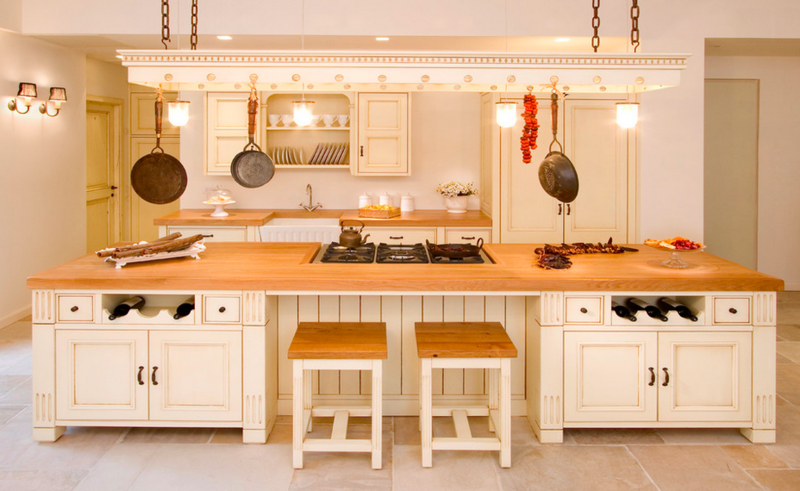 I love them in farmhouse or Mediterranean style kitchens. Check out the textured tiles in this homey, Italian-inspired kitchen. If you prefer smooth tiles, get inspired by this next kitchen. 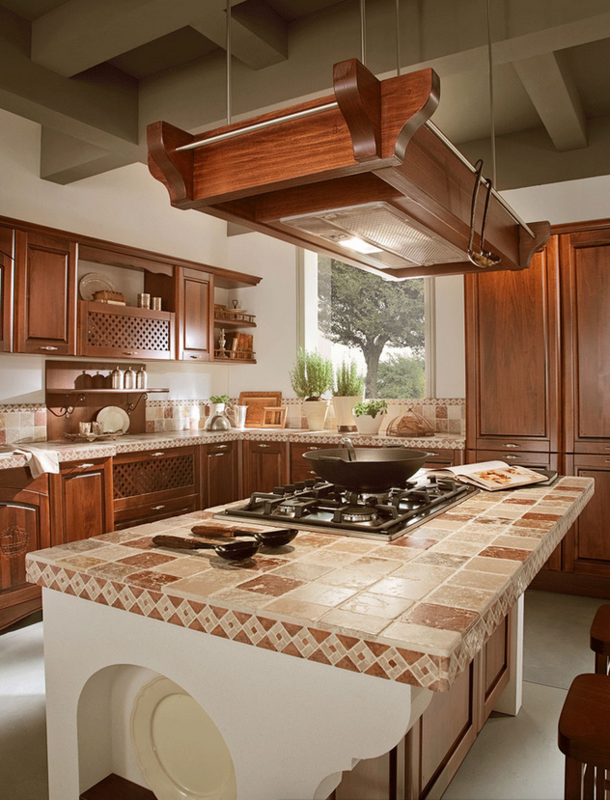 The mix of neutral and patterned tiles really complements the rich wood. The truth is, no one countertop material really stands out above the others. It just depends what you’re looking for. So whether you’re after low prices, durability, or just a gorgeous kitchen, I hope this post helped you on your way to finding the perfect kitchen countertop. 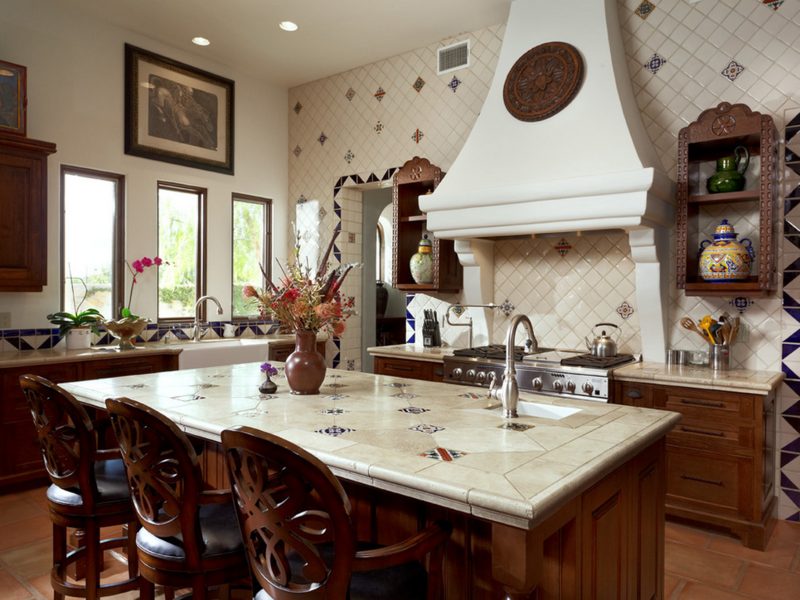 Learn more about our carefully crafted kitchen countertops here.